Positive talks won’t bring green to the market. Sri Lanka Equity Forum » Stock Market Talk » Positive talks won’t bring green to the market. Investors are slowly coming to the realization that the crisis will not take days, weeks or months to unwind... but years. The latest woes have left millions of small investors feeling more confused than ever. No one fully knows exactly what's happening all the time. The current situations in the cse will teach very hard lessons to lot of young people in the years to come. 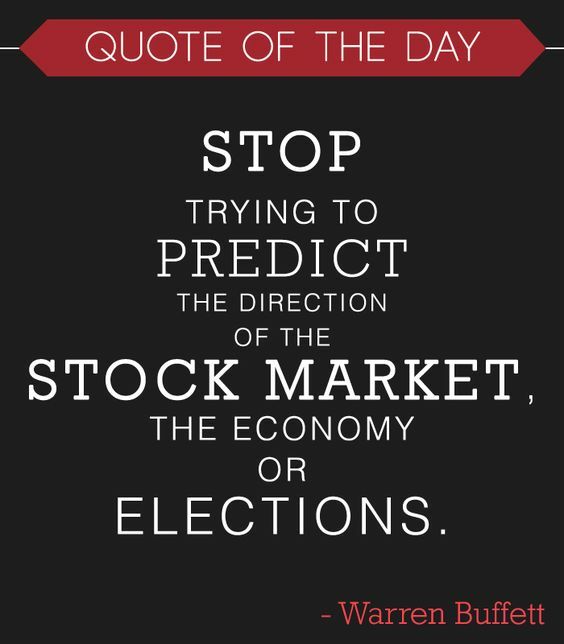 It is time to wonder whether or not investing in stocks is worth all the hassle. Positive and Negative comments welcome, if they are relevant to explaining the CSE situation. Most of the people are living with their political fantasies . They can't detach investment decisions from their political beliefs . One part of their brains do not accept the reality even the other part see it correctly. This goes either way , losing money and losing profits. Whey you ask them to buy they refrain and when you ask them to sell or not to buy they do opposite. He told me 'incapable Mahinda' is the ruler and would make everything worst in 1-2 years. Hence better go for a FD. Imagine his wealth after few moths if invested 250,000/25 = 10,000 shares. @ 300 x 10,000 = 3 million. In 2015 I told beware of JKH . Reason was: ground condition when planning and present reality mismatch. Still people bought it when warrants came down by 20 Rupees from 85 level. People were blind about the boasted knowledge and performances of Ranil Wickramasinghe. They were talking about index going above clouds when UNP leader took control. Some people are still struggling to accept the reality because coming out from the fantasy hurts. I was in CSE during JR, Premadasa, Wijetunga, Chandrika+Ranil, Rajapaksa, Ranil+Mythripala periods. We never mixed our political ideas when investment decision making. We earned during JR , Premadasa , Wijetunga and Rajapaksa era irrespective of their party or our politics. If any ruler take positive steps we watch them and invest accordingly. If they are doing with destructive and foolish acts related to economy we watch and deviate from CSE, to save our money and life. At the moment , our observation is , the present management has taken very destructive and childish steps in economic management from the beginning. Hence we have to deviate from CSE. That is not a new thing or an act against political enemy but the way I was doing from the beginning. I think anybody has the freedom to evaluate the situation as per his experience and knowledge and take decisions without getting sink in political fantasies. Green and red both are part and parcel of stock exchange.You can't expect green for everyday.Then there is no place for fixed deposits,bond,etc..Everyone just blindly invest in ever shares.. There are positives in Red also.There are so many undervalued shares and sectors at market.You have to study good companies in neglected plantation sector as well particularly in current tea price and palm oil prices. So don't expect to talk positive only in green days and change the heading. @Chinwi wrote: Most of the people are living with their political fantasies . They can't detach investment decisions from their political beliefs . People expected rapid development and stock market boom under a UNP Govt. But what happened was even garbage collection was in disarray let alone rapid development and the stock market screwed up. People expected an economic boom under the UNP Govt. But the economy was mismanaged and in a complete mess. People expected Hillary Clinton would win the US presidential election. The result was just the opposite. HATS OFF TO WARREN BUFFET! At the time this government was taking over the economy was facing the Reserve Crisis and the whole economic condition was no good. Now the government is coming out of all these troubles slowly. If someone expects the government to do magic yes for them the government is failed. But in Reality the government is taking the country out of problems slowly. Oh yeah, the Govt is coming out of all troubles by showering perks and benefits on MPs. The hidden reason is said to be to garner two thirds support to achieve certain agendas. So, to achieve the same results at a national referendum are they going to shower the majority of voters with the goodies given to MPs?????????? Some thing to ponder about isn't it????? Cash trapped economy needs a closely constrained efficient cash management system. Amazingly almost everyday news are up about thefts in millions/billions throughout the country. At this stage more perks given to parliamentarians are utter nonsense. Law & order is incapacitated. Under circumstances how investors step into capital market. It is true we are heading towards a utter mess.it is accepted by most of the investors. That is why market is not getting attractive though it is PE ratio is comparatively low. They are very capable in doing that only. PE ratios are comparatively low. Still investors are reluctant to take positive actions. The reason is, they predict, suspect or fear that due to shrinking of the economy in due course supported by high tax, low turnover , increasing wages and overheads the PE ratios will go up to unattractive levels and their purchase prices may become overvalued. Seeing you after a very long time. You should be an active member of this forum. Why were you silent for a very long time? haha I had been taking a long sleep from the market due to sluggish market condition. let DP do a talk on the market ! How & when the market is expected to be emotional strength? Festive season around the corner usually keep the market cyclically low. Does it mean further plunge for another two months?